Candidates belonging to the Scheduled Castes/Scheduled Tribes who have passed the basic qualifying degree are eligible to apply irrespective of the marks/CPI and will be considered for admission. 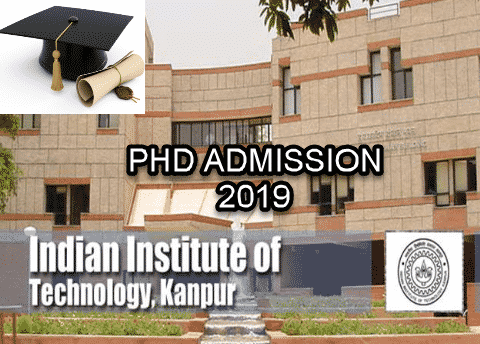 A master’s degree in the relevant subject or a bachelor’s degree in engineering or science (4-year programme) with marks/CPI not below the specified minimum. The candidate either must have a valid GATE score or must have qualified JRF. The requirement of GATE/JRF is waived for candidates having a master’s degree in science from IITs with a minimum CPI of 8.0. The online applications portal (for Indian Nationals only) will be available from 15/10/2018 (01:00 PM) up to 15/11/2018 (05:00 PM). Indian Nationals can apply only through online mode of application. Foreign Nationals can apply only through offline mode. The last date for receiving applications in the offline mode from Foreign Nationals is 15/11/2018. The application fee is Rs. 400 for General and OBC candidates and Rs. 200 for SC/ST and all PwD candidates (including General and OBC). The application fee is waived for ‘Foreign National’ candidates. Last Date To Apply: 15/11/2018.